Guest House Shinagawa-shuku Tokyo, Tokio, Japonia : Rezerwuj teraz! WELCOME to Guesthouse Shinagawa-shuku ! 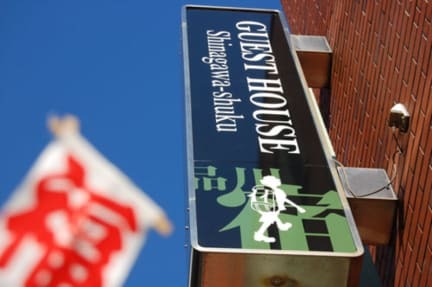 The Shinagawa-shuku guesthouse is positioned in a warm, friendly and evermore local area, and offers convenient access to the sightseeing spots in Tokyo, Yokohama, Kanagawa, and Chiba. If you take late flight, (ex.arrive at 22:30 at Haneda) you can come here and check-in. 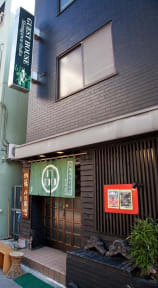 Located just a 2 minute walk from Kita-Shinagawa Station, or a 10 minute walk south from the central Shinagawa station. You can visit many traditional temples and shrines or take in the intimate atmosphere of the local shops and traditional Japanese restaurants. Our facility is situated on the first station of the KyuTōkaidō Road which connected Tokyo and Kyoto over 120 years ago. Various local festivals are held in Kita-Shinagawa throughout the year, and are a lot of fun to attend. Our Guesthouse offers an at home style atmosphere, in a cozy environment. Most of our rooms are Japanese style with tatami mats so you can enjoy traditional Japanese ambiance. *All late check-ins(except for train and airline late arrivals and delays) and check-outs will incur a 500yen late fee per room. *We accept Cash only. Sorry for the inconvenience. *All payment is expected on arrival. *We charge 1,000yen as a key deposit. We return this when you check out. *visitors are not allowed to stay. If you disregard this rule, you will be charged 10,000 yen. *all rooms are non smoking. If you disregard this rule, you will be charged 10,000 yen.